Arrive in Posadas or Corrientes airports. 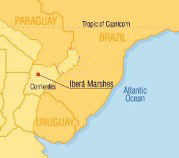 Morning and afternoon birding in Iberá, with boat tour to the marshes included. Extra day in Iberá, exploring marshes, grasslands and woods. Morning birding near the lodge. Check-out and drive out to Posadas or Corrientes. Birding in one of the worlds largest wetland ecosystems. Expect: 250-300 species, good accommodation, easy to moderate terrain, some long drives, warm to hot climate. In the vast plains of Argentine Mesopotamia, the Iberá marshes stand out, an immense and untouched wilderness. Comparable to the Brazilian “Pantanal” and the Venezuelan “Llanos”, this wetland ecosystem is the second largest in the world and a huge part is protected by a nature reserve (13,000 Km2). Birdwatching and photographing opportunities are endless on this wildlife paradise. Dense stands of water lilies, water hyacinths, papyrus and cattails host a myriad of birds. Jabiru Stork, Rufescent Tiger-Heron, Large-billed Tern, Savanna Hawk, Crested Doradito, White-headed Marsh-Tyrant, Black-capped Donacobius and Scarlet-headed Blackbird are just some of the jewels to be found here. Several threatened and highly localized species inhabit the adjacent grasslands, including Greater Rhea, Black-and-white Monjita, Strange-tailed Tyrant, Ochre-breasted Pipit and numerous Seedeaters of the enigmatic Sporophila group. 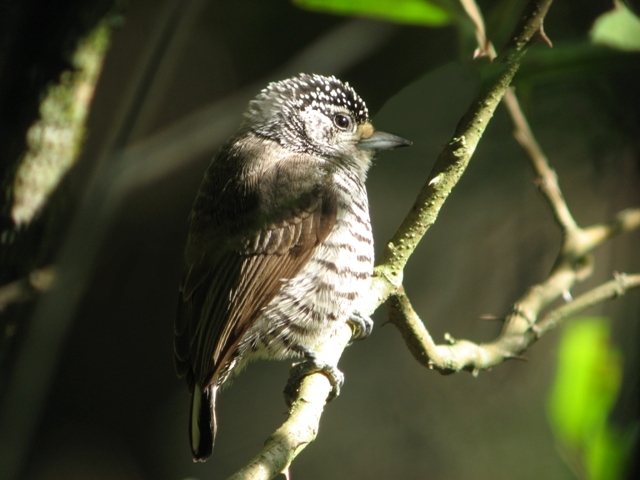 Woodlands host numerous beauties such as Scissor-tailed Nightjar, Striped Cuckoo, Purple-throated Euphonia, Yellow-billed Cardinal and Green-winged Saltator. Other animals regularly found here include Capybara (the world’s largest rodent), South American River Otter, Grey Brocket and the graceful Marsh Deer. Yellow anaconda and two species of Caimans are also likely to be found.